Developer's Interview: Ninjabee Games Talks About A World of Keflings For Wii U! A World of Fun Awaits Us! Hello thanks for taking time out of your busy day to answer our questions! [NBG]: No problem. We’re really excited about putting A World of Keflings on the Wii U, and we’re happy to talk about it any chance we get. Will the Wii U version of A World of Keflings have any exclusive content? [NBG]: When we decided to bring AWOK to the Wii U, we knew we wanted to include all our DLC. Nintendo fans have been waiting for an opportunity to hang out with Keflings, and we wanted to reward them for their patience. In addition to baking in all three DLCs, AWOK on Wii U is getting some special upgrades. We’ve included graphical upgrades. But, more importantly, we’ve added awesome second screen features. The game pad allows players to keep an eye on all their Keflings, and interact with their workshops without having to walk over to them. For those who don't own an Xbox 360 or have never heard of A World of Keflings could you tell us a bit about the game? [NBG]: A World of Keflings is a kingdom-building game. You play as your Mii, who is a giant compared to these tiny guys called Keflings. They are really helpful and eager, but aren’t the brightest bunch. They need your help to build their tiny kingdom. You send them to gather resources for you, work in the structures you build and carry stuff around for you. They are busy little guys, and will do anything you need them to. You just have to direct them. 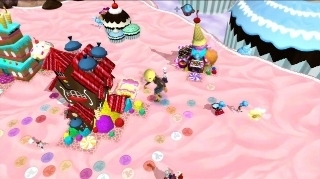 There are six different kingdoms in this version of the game. They all have a different theme, different mechanics, different resources and different buildings. This game has a ton of content in it. You get to meet all kinds of oddball Keflings, do quests for them and build their adorable little kingdoms. How many people have been working on the development of the Wii U version of the game? [NBG]: We’ve had 15 people on this project. Not all at once, necessarily, but we’ve dedicated a lot of effort to making sure that this is the definitive version of A World of Keflings. Every aspect of the game has been tinkered with, improved, and perfected. We want the game to be worth the wait. We know the game is coming this Spring, but is there a particular month that is your target window for A World of Keflings' release? 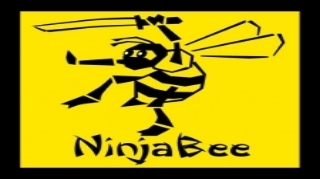 [NBG]: In a way, this is a new frontier for NinjaBee. We are still feeling our way through the process of getting a game on the eShop. Obviously, we wish the game could come out tomorrow. Instead, we’ll just have to promise that the game will be coming out this Spring. I wish I could say more. Can we expect any dlc down the road if the game sells well on the Wii U? [NBG]: You know we love Keflings. We talk about them all the time. We would love to do more Keflings content. And nothing is impossible. But we don’t have any new DLC in the works at this moment. Like I said, that doesn’t mean that it couldn’t happen. It just means it isn’t happening right now. 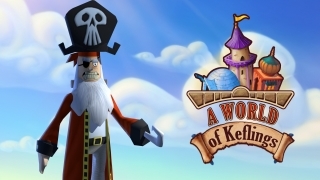 Has developing A World of Keflings for Nintendo on their Wii U eshop been a positive experience? [NBG]: It has been really great. There have been some unexpected bumps along the way, which have delayed the game a little bit. But overall, it has been wonderful. Nintendo has been very supportive, going so far as to give us space in their booth at PAX Prime last year to show off the game. We couldn’t be more pleased with our experience working with Nintendo. What are your opinions of the Wii U eshop when compared to Xbox Live? [NBG]: It is a very different experience. From the way the store is laid out, to the feeling of each shop. It is like apples and oranges. One thing that seems better in the eShop right now is discoverability. We are fortunate enough to always be near the top of the list on XBLA, but there are a lot of games that don’t get the exposure they deserve. It isn’t like the App Store, but there are still a lot of games on Xbox. The eShop feels a bit more open in that way. I’d almost call it breezy. Well thanks for the interview, it was a pleasure and I hope we'll have the opportunity to do this again someday! [NBG]: Thank you! It was great to talk with you. We can’t wait until you get to play A World of Keflings on Wii U. We’ll keep you up to date as we get closer to release. It’ll be a lot of fun. How has this interview affected your opinion of A World of Keflings and will you be downloading this game when it's released later this Spring? Let us know in our comments! Re: Developer's Interview: Ninjabee Games Talks About A World of Keflings For Wii U! Another WiiWareWave developer interview, just what this site needs. More exclusive articles. Great work Rukiafan! I forgot about this game but after reading this interview it's going to be a top priority on my eshop wishlist! @NINTENBRO82 wrote: Another WiiWareWave developer interview, just what this site needs. More exclusive articles. Great work Rukiafan! Is Mario wielding the Monado in your avatar? !